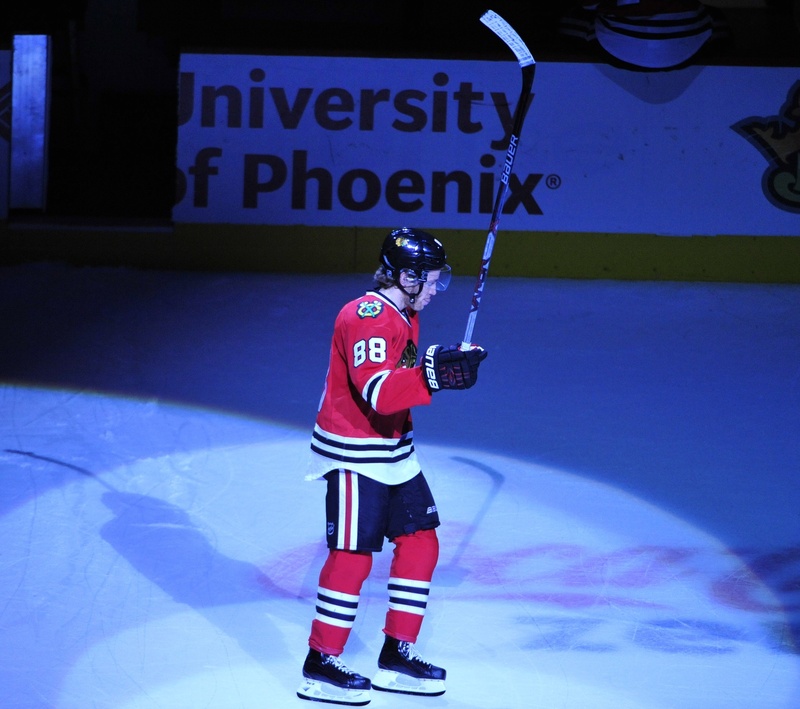 Patrick Kane continues to amaze. The Chicago Blackhawks forward extended his point streak to 25 games with a power play goal on Friday. He lifted his team to a 2-0 victory over the Winnipeg Jets, tying Sidney Crosby’s 2010-2011 point streak in the process. Kane has now broken records by Bobby Hull, Ed Olczyk and Phil Kessel for the longest point streak in the NHL by an American-born player and longest point streak by a Chicago Blackhawk. Hull set the latter record at 21 games, in case you were wondering. Crosby had 26 goals and 24 helpers during his 25-game point streak, which seems ages ago considering how he’s playing now. Kane is at 16 goals and 23 assists, but nine of his goals have come on the power play. The streak began on October 17 against Columbus, when he popped in an empty-netter and began the magic. The NHL record sits with Wayne Gretzky, who has a 51-game point streak in the 1983-1984 season. He had a whopping 61 goals and 92 assists during that streak, by the by. Kane is just the fifth player since 1990-1991 to have a point streak of at least 25 games, with Crosby, Mats Sundin, Brett Hull, and the Great One in that exclusive club.